with his own art, to the Primitive Collection, Nucleo’s latest open source project. 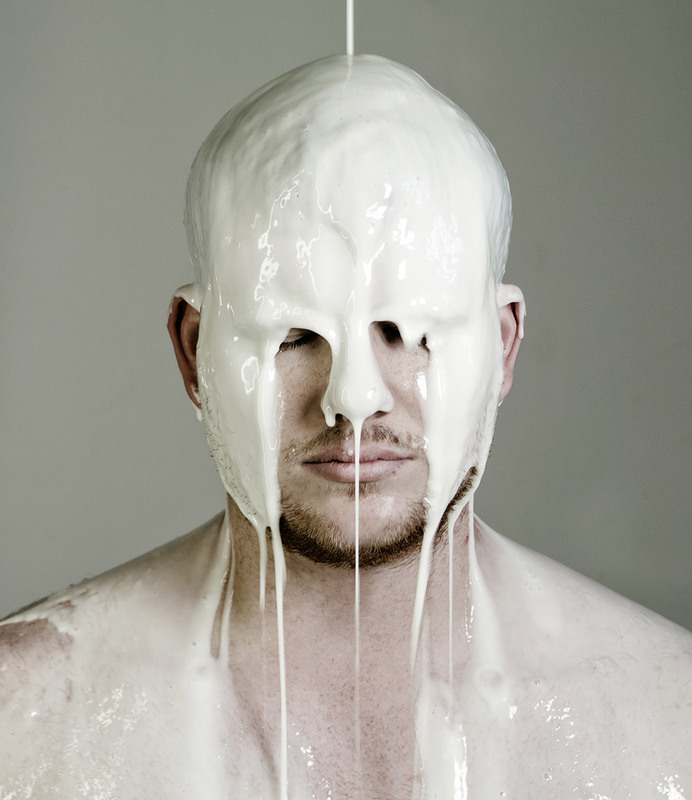 Mueller has developed four photographs where white is stratified as a casting resin on his skin. as if in a human body the muscle and structure could be covered by a thin layer of resin, freezing the expression forever. Action also refers to our inner child (from the Italian poet Giovanni Pascoli) free to get dirty and play with shape. Shape the body with a waterfall of matter. Dip your hands in it as a child thrusts his hands into the ground. Back to the roots, when thought was free and images clearly formed. The moon was pure magic, the wind a voice to listen to, and everything was mirrored in the self.